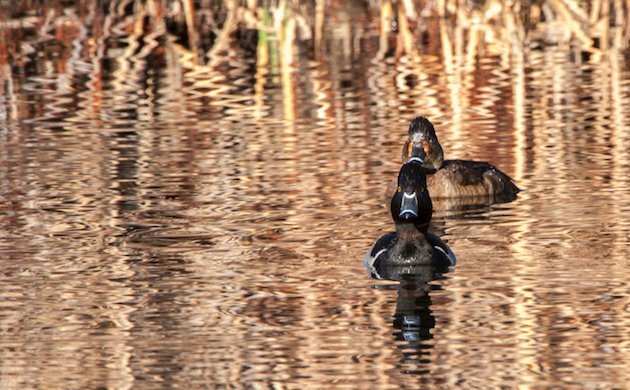 I’ve heard many people ask “why don’t they call it the Ring-billed Duck?” They do have a white band toward the end of their bill. 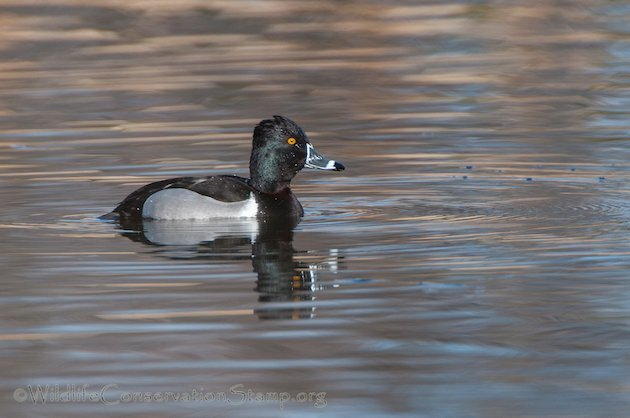 But if you look closely, you can see the dark violet band around the neck of the male Ring-necked Duck (Aythya collaris). Click on photos for full sized images. 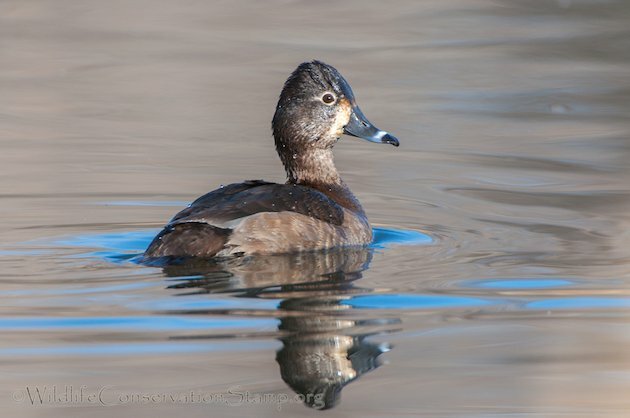 The female has what some might construe as a “ring” around the neck where the light colored throat moves toward the more brown breast. The male also has an ultramarine sheen to his head and upper neck when the sun hits it just right. Which contrasts nicely with those bright yellow-orange eyes. 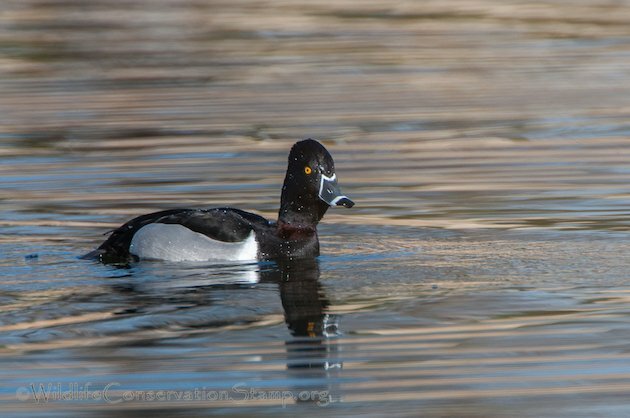 During summer and winter, Ring-necked Ducks prefer shallow, freshwater wetlands with stable water levels and abundant emergent and submerged or floating plants. I shot this video of a pair diving at Colusa National Wildlife Refuge as the American Coots opportunistically fed off the material the ducks brought to the surface. If you have ever seen this duck in a game bag (or the current container of choice, a styrofoam ice chest) the purplish ring around the neck is quite obvious. It is made prominent by the common practice of wringing the duck’s neck by whipping it around in a circle while holding it by the head if it is not “dead yet”. Surely hunters coined the term. By the way, do you know what a Ring-necked Woo Woo is? It’s the species to which Daffy Duck belongs. (I bet you didn’t know that, Rick). Birding Borneo: More than I Bargained For?